Aquarium of the Americas: With over 10,000 animals from over 530 species, this aquarium, started by the Audubon Institute, is a sight to behold including such animals as the clownfish, piranha, and anaconda…..oh yeah and there’s an imax theater as well! Your group will not be dissapointed by this magnificent display of underwater life. Audubon Zoo: Home to 2,000 animals including rare white tigers and white alligators, this is a unique and fun visit for any group. Exhibits not to be missed are the Reptile Encounter and Swamp Exhibit, which today thematically mimics the way New Orleans looked after Hurricane Katrina. Not only will this be a fun experience but it will be historical and emotional as well. 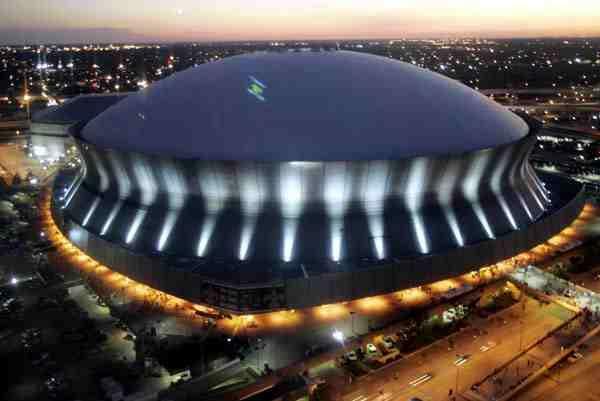 Superdome: A sports and architectural masterpiece, New Orleans’ Superdome is the largest fixed dome structure in the world! You’ll remember this as being the shelter sought by many during Hurricane Katrina. Come and see this historical site and the home of the New Orleans Saints and get a tour of the entire complex including the press box and the box seats. Oak Alley Plantation: Built by George Swainy between 1837 and 1839, this beautiful historic mansion rests on the Mississippi River and served as an antebellum sugar cane plantation which barely survived the Civil War but was restored afterwards and awaits your tour today! Other Activities: Looking to add more to your trip? Don’t forget to take such exciting tours as the Swamp Boat Tour, the Paddleboat Dinner Cruise on the Mississippi, and the French Quarter Walking Tour. Need a fun place to eat? Try the Hard Rock Café, the House of Blues, and the River Walk Mall. Of course, if you need one more day, there’s always Six Flags! Whether you are a kid or an adult, New Orleans has it all just for you.